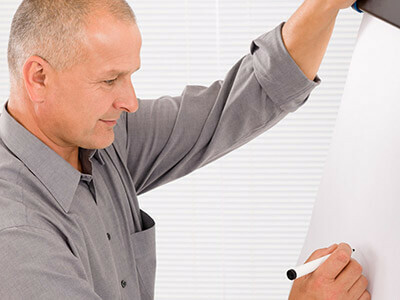 A short paragraph explaining what a candidate can expect upon completing the NLP Practitioner Course A short paragraph explaining what a candidate can expect upon completing the NLP Practitioner Course. Induction – Relax with refreshments and acquaint yourself with fellow participants. Introductions to NLP and its History – The basic models that underpin the field & discussing ecology. Hakalau – It’s history and its use today. NLP Communication Model – How we Create and Perceive our Perception of Reality and Behaviours. Rapport – The 4 Pillars & How to Influence, Connect, Understand and Build Trust with Self and Others. Representational systems – Utilising all Five Senses to Engage, Understand and Be Understood. Neurological Levels – The key elements to personal and organisational success. Language Patterns – Change the Words to Change the Meaning. Words to use, how & why to use them. Metaphors. Sub-modalities – How the elements of our senses can be harnessed to improve personal performance. Presuppositions – Operating Beliefs of NLP. Convenient beliefs to hold that make a HUGE difference. Values – Learn about where people are in the hierarchy of values and progression. Goals – The Principles and Basic Structures for Achieving Ecological Success. Anchoring – Instantaneously switch your state of mind or behaviour to be in line with your outcome. Modelling Excellence – How to replicate the structure of any outstanding performer’s skill. In harmony of Perceptual Positions – In addition we will also explore/discuss: The Disney Effect. Strategies – An unconscious strategy for everything – some being better than others while some maybe less productive. Sleight of mouth – Introduction to using words wisely and effectively. Parts Integration – Creating personal congruency through re-integrating facets of personality and dealing with inner conflict. Time Lines & Time Line Therapy – How we store and retrieve memories in time, learn from, and edit personal history. Use of Hypnosis – Utilisation of many practices. Meta Model – Is the model of language about language – eg – using language to explain language. Milton Model – A mirror image of Meta Model yet requires using the unconscious mind to search for meaning (known as transderivational searching) eg : going into trance. Techniques – Also known as the ‘NLP toolbox’, including tasks & competency. NLP in Practice – A practical framework for delivering an NLP. There are currently no upcoming NLP Practitioner Course courses available.